This large district, encompassing ten 20-acre claims, was very active from the 1930’s through the early 1950’s, when production peaked. The Number 8 turquoise mine in Carlin, Nevada was first mined in 1929. In its prime, Number 8 produced some of the largest nuggets of turquoise ever found. The color of Number 8 varies from light blue, blue with shades of green to beautiful dark blue. It is found with a black, golden, red or brown matrix. With the black and red spider webbing being the most valued. 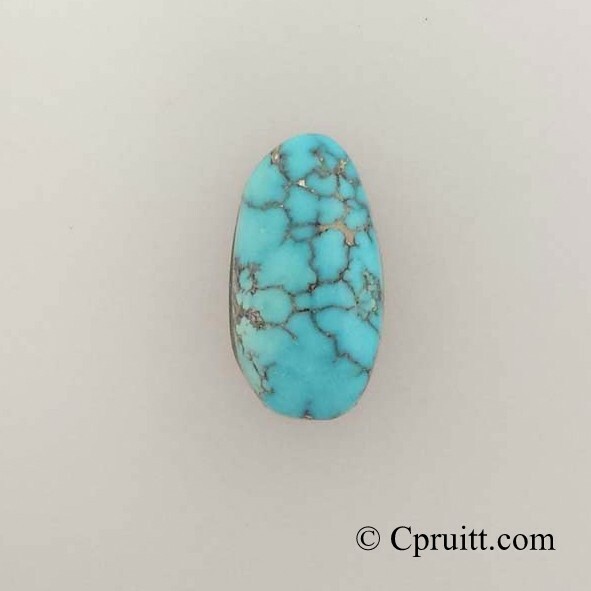 Today Number 8 turquoise is one of the most valuable stones that can be collected. High-grade Number 8 turquoise is by far some of the finest turquoise to ever have come out of Nevada.